There is plenty of evidence supporting the benefits of hiring a design firm to assist in developing your company's brand identity. They are experts, after all, and probably much better suited to create your company's logo, color palette and even the catch phrase that will be inscribed in bold letters high on the wall of the reception area in your plush lobby. The problem is that most startups do not have the resources necessary to hire a design firm -- nor do they typically have a large reception area, or even an office. Enter crowdsourcing, which is the practice of outsourcing ideas, services or content by soliciting contributions from a large group of people, or more specifically, an online community rather than through traditional employees or service providers. My company, Wild Creations, has leveraged crowdfunding services in the past, such as 99Designs.com, with great success. While there are plenty of people -- mostly designers -- that will argue against using crowdsourcing for anything related to a brand identity, here are five reasons reason a cash-strapped startup should consider it. 1. Reduce cost. Hiring a design firm or an independent graphic designer could cost hundreds or even thousands of dollars. They will typically insist on a retainer before showing any work (as they should), and you typically pay for the final results whether you like them or not. Crowdsourcing sites are typically much less expensive, starting as low as $299. 2. Eliminate overhead. Some businesses prefer to have graphic designers on staff to closely control the creative aspects of the business. Unfortunately this can be very cost prohibitive with salaries, payroll taxes, benefits, etc. On-staff designers will also not be fully utilized during down times. Many crowdsourcing services provide a wide array of services, such as banner ads, email campaigns, and even one-off illustrations, and you pay as you go. 3. Increase options. Crowdsourcing delivers access to thousands of designers across a wide range of experiences and cultures. This often results in hundreds of design options from which to choose. While this could be a distraction, sites such as 99Designs allows you to prioritize the best designs in real time while providing a feedback loop with designers you like. 4. Optimize creativity. While great design firms will create projects based on what they believe is best for their clients, many less qualified design firms will bend their preferences to make a client happy and, hopefully, earn the business. With crowdfunding, the designers have no fiduciary duty to the client and at sometimes have very little information about the company. This creates an environment that encourages creativity, as a designer needs to be aggressive and unique to stand out against the hundreds of other designers battling for the project. 5. Create buzz. A great way to leverage the power of crowdsourcing is to double down. Some platforms allow you to run surveys and voting through your social-media accounts, tapping your fans and your network to vote on designs. Not only does this provide valuable feedback, it creates a perpetual buzz as the process continues. A couple of years ago, Wild Creations went through major transition, and we decided to take the opportunity to give our six-year old brand a recharge. We understood how we wanted to shape the image of our company, and we we felt we had enough experience and creativity between the managers and partners to develop a great new identity. The problem was that we were a victim of the IKEA Effect, or the bias created by your own labor of love. We had developed our logo years earlier, and it had always included a set of eyeballs. When we set out to rebrand, we wanted to incorporate these eyeballs into the new logo. We submitted a project on 99designs.com and received over 300 new and unique submissions. In the end, we chose a design that did not follow our suggested guidelines (it has no eyes). The designer made a strong argument for eliminating them, and his design suggestions really stood out. 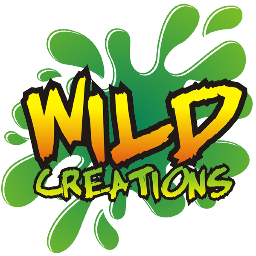 Viola, the new Wild Creations logo was born. Working with professional firms is certainly very useful and valuable, but it can be cost prohibitive. As crowdsourcing continues to grow in popularity, expanding into hundreds of sites and covering everything from design to accounting services, more startups and small businesses should consider it as an affordable alternative. Do you have experience using crowdsourcing with your startup? Please share with others below.